Last week I got a nice email from a Cypress customer in Italy (I think). He asked about implementing a PSoC4 BLE Central. I replied that it was pretty easy. Over the weekend I thought about it a little bit more and realized that I had never implemented the Central a.k.a. 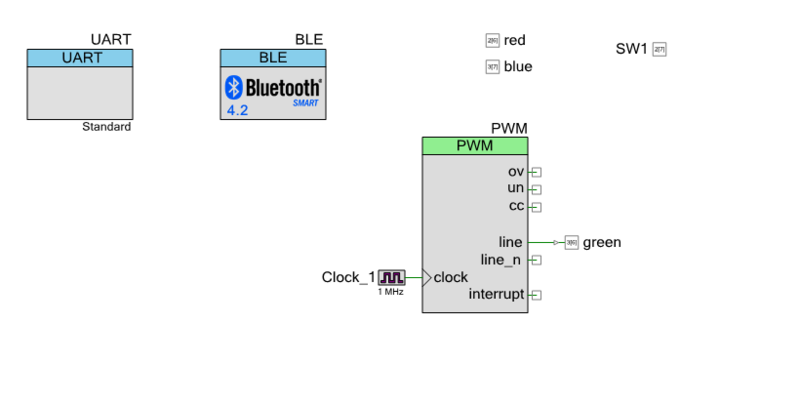 the “other” side of a BLE connection in a PSoC. I had always built the Central side in an iPhone application written in Swift or Android application written in Java. So it seemed like a good thing to do to implement it in C. It turned out to not be quite as easy I had hoped because of some problems in the Cypress documentation. 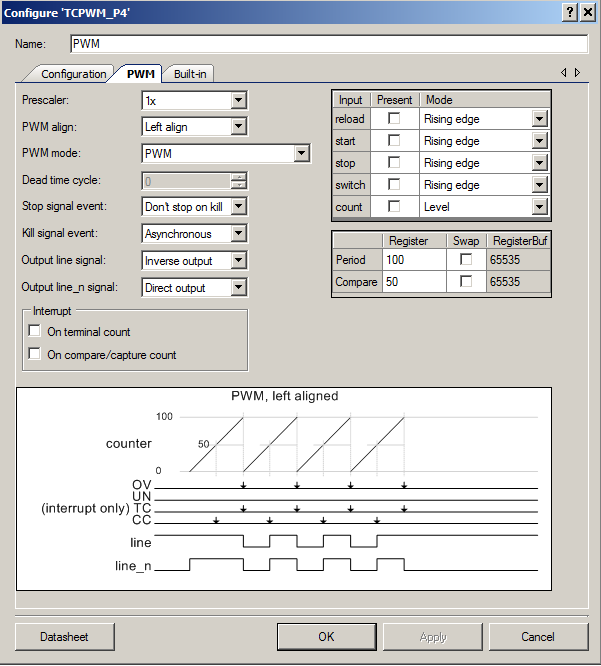 In the next several articles I am going to show you how to implement a PSoC4 BLE Central. I am going to use the project from the video series called “capsenseled” as the GAP Peripheral and then I am going to show you how to write the GAP Central code. 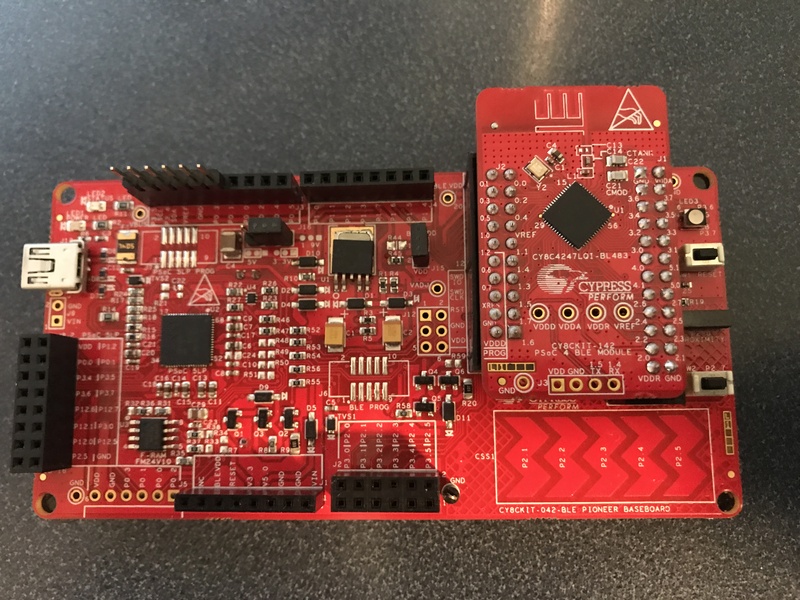 You can learn about the GAP Peripherals in the video series called “PSoC® 4 BLE 101 Video Tutorial Series: How To Create Products Using PSoC 4 BLE“. Here is the first video from YouTube. Finally I can read/write the led characteristic. After all that you will end up with something that looks like this. 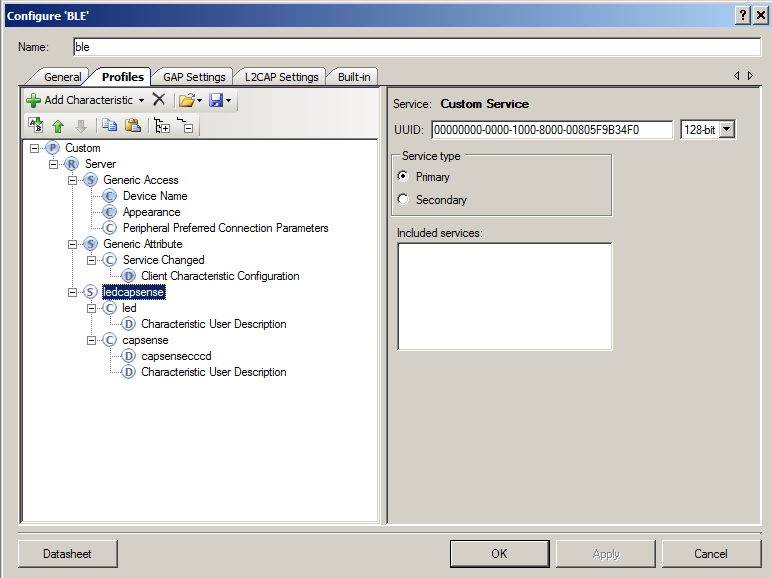 You can see the “ledcapsense” service is listed under the “client” section of the GATT configuration. 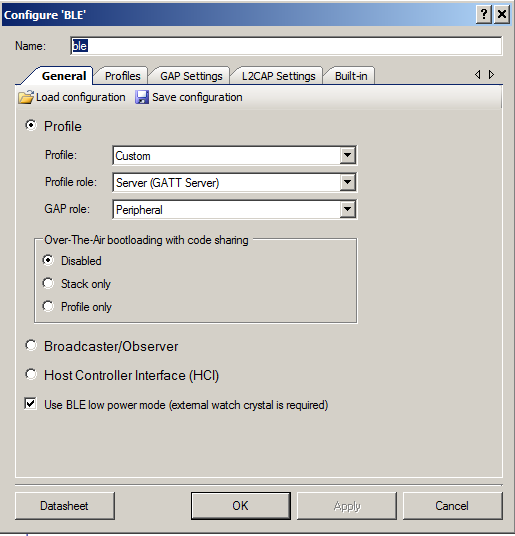 CYBLE_EVT_GATTC_HANDLE_VALUE_NTF You received a notification of a change in the Capsense from the GAP Peripheral. To make all of this work, I created a state machine using an enumerated datatype. The project starts with the normal turn on the PSoC components and stuff. 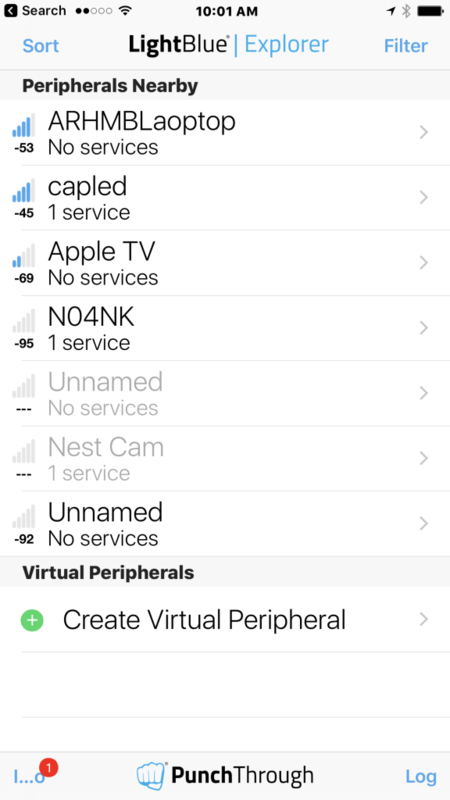 Most everything that happens in the BLE sub-system triggers a callback to your “AppCallback” which you registered when you started up the BLE component. The AppCallback has two parameters, which event and a generic void* style argument which can be one of a bunch of things. (Lines 73-79) After you turn on the power to your central and the BLE subsystem you will need to start scanning for peripherals that are advertising. To do this you call “CyBle_GapcStartScan”. 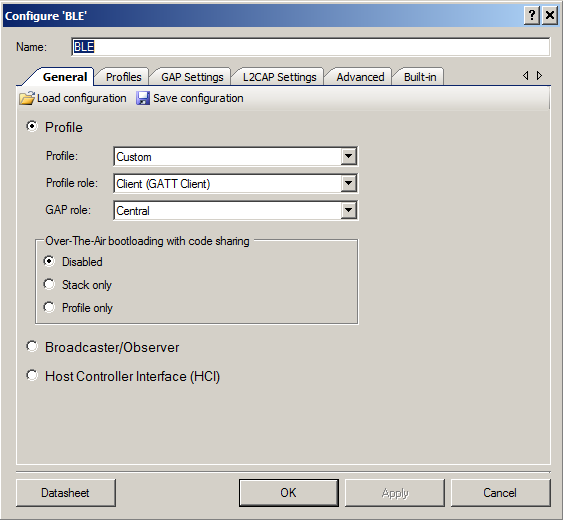 The “Gapc” part of the API name means GAP Central. The other time you need to start scanning is when you have been disconnected. 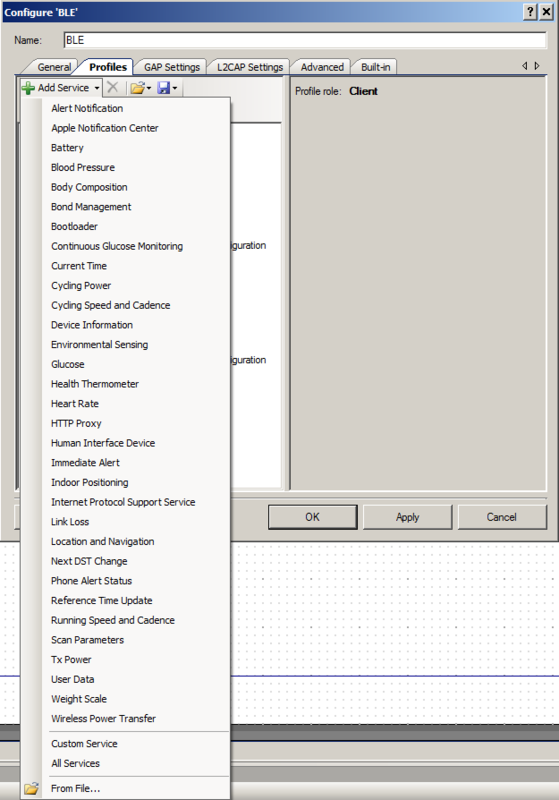 (lines 97-100) When the BLE either starts or stops scanning it issues the “CYBLE_EVT_GAPC_SCAN_START_STOP” event. I use the state machine to determine what to do. 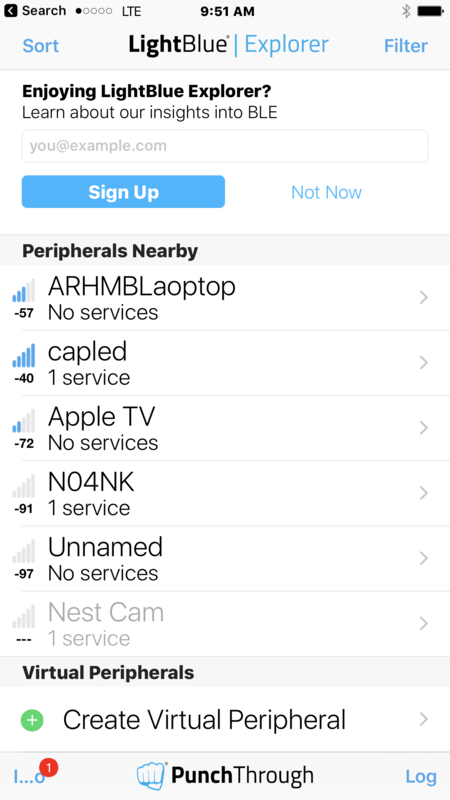 Basically if the mode of my system is “SM_CONNECTING” then I attempt to make a connection to the remote device. 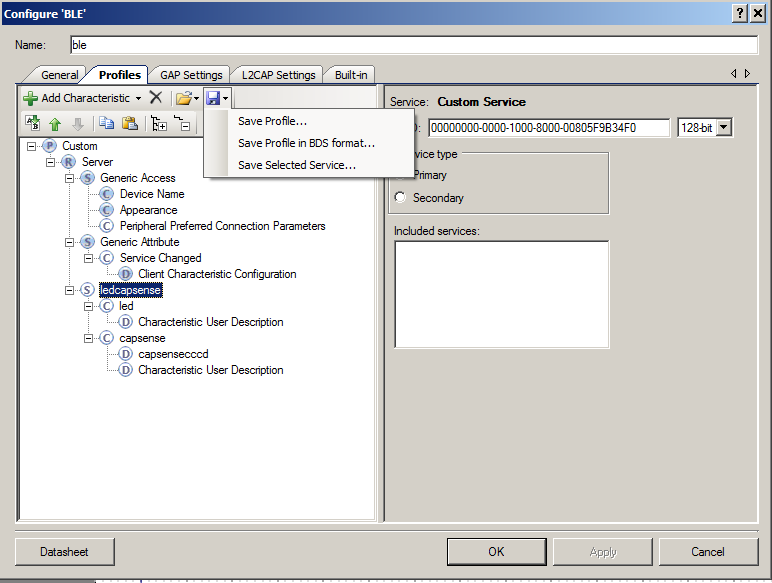 (lines 102-105) Once the device is connected you need to do a service discovery to find out what services are on the GAP Peripheral and more importantly what are the handles of the characteristics. The CyBle_GattcStartDiscovery issues requests to the GAP Peripheral to tell the services and characteristics on the peripheral, to which it responds with events. Cypress provides code in BLE_custom.h and BLE_custom.c to process those responses. Once the discovery is complete you are then ready to talk to the device. We are interested in getting notified when the Capsense characteristic on the GAP Peripheral changes. 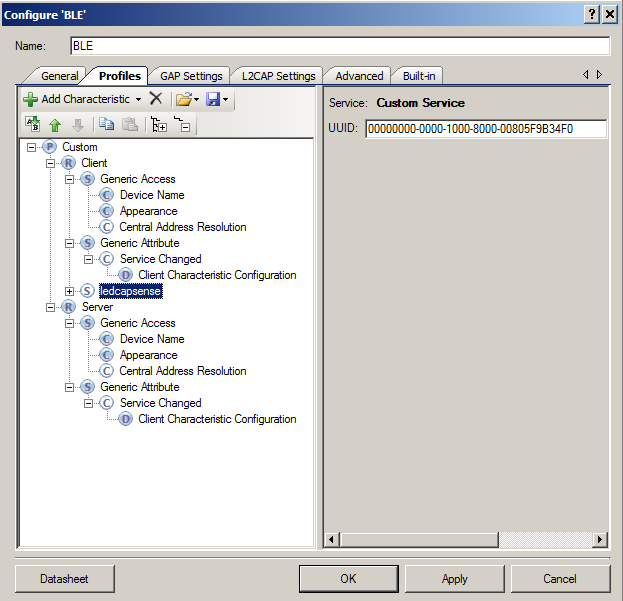 To enable getting a notification you need to write a “0x01” into the Client Characteristic Configuration Descriptor or CCCD. In order to accomplish this you need to know the handle of that descriptor. 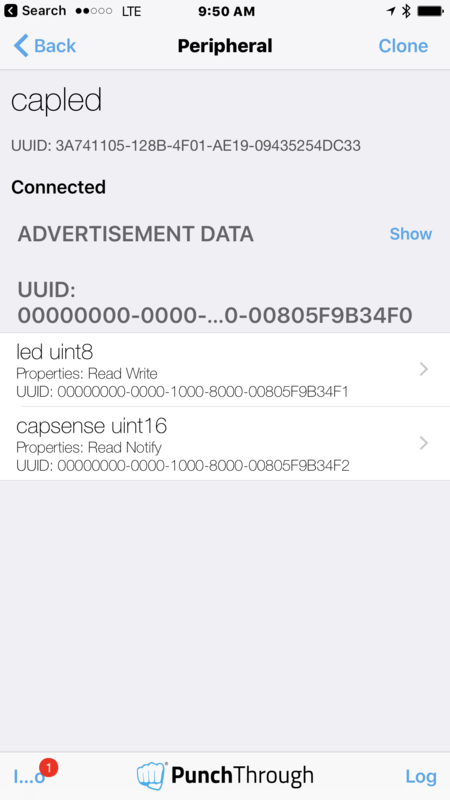 The handle is discovered automatically by the BLE_custom.c functions. If you look in BLE_custom.h you will find #define(s) that are the indexes of the things you need to know from the service discovery array. 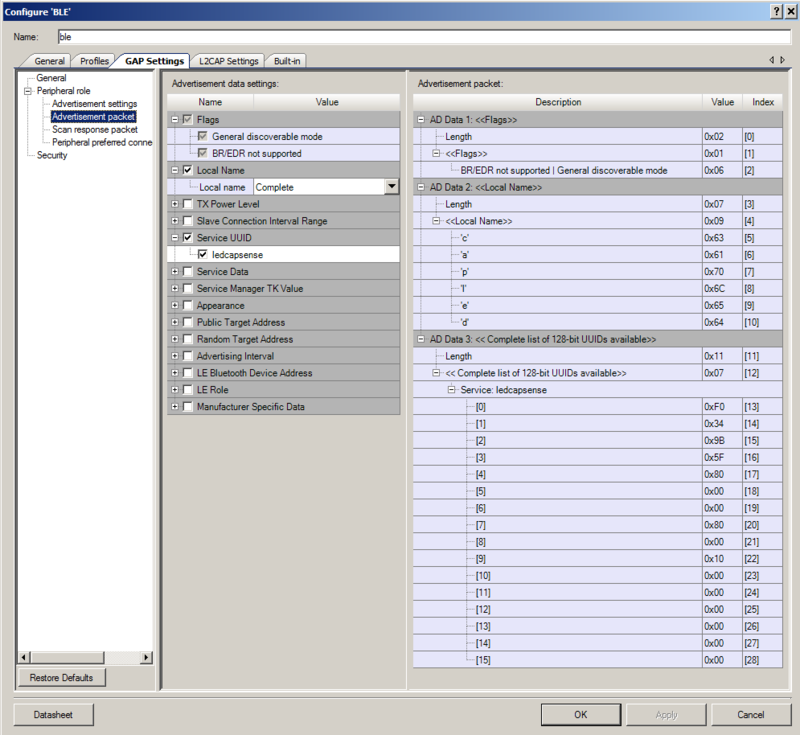 To set the CCCD you create a “CYBLE_GATTC_WRITE_REQ_T” and fill it in with the information required. Specifically, the value and the handle which you find on line 57. Then you write it to the GAP Peripheral. The main look is simple. 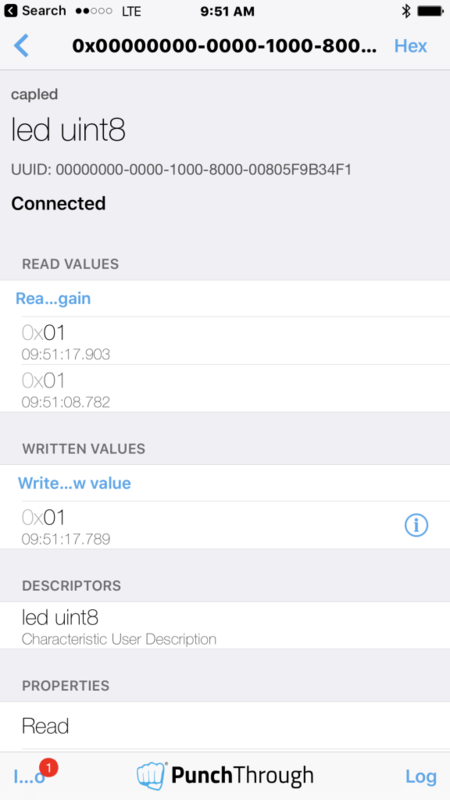 Basically if you are in the SM_CONNECTED state, then call the function which updates the state of the Remote LED. This function looks at the state of the switch, then if it has changed, sends the updates state to the Peripheral. The switch is active low (a 0 means that it is pressed) but we want a “1” to mean turn on the LED. Just like the updateCapsenseNotification() function, you look in the cycle_customCServ array to find the handle of the LED characteristic. 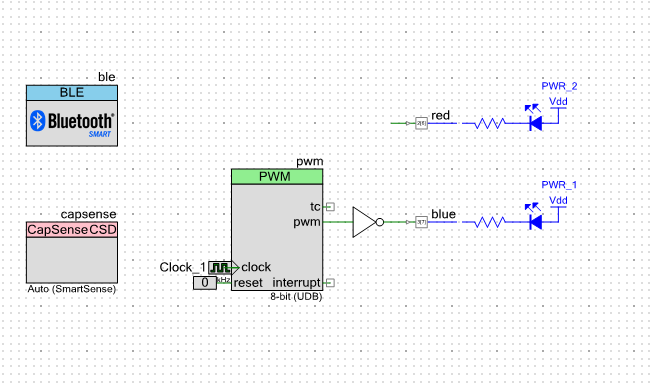 The last bit of code updates the state of the PWM driving the LED when you get a notification from the GAP Peripheral that it has been updated. In the next Article(s) I will show you how to use the CySmart dongle. I am also planning on showing you the firmware to create a GATT Browser. Dear Sir, where I can get source code for “centralled”. Hi, I am having some problems understanding “write without response” setup. In the “capsenseled” server project “CYBLE_EVT_GATTS_WRITE_REQ” is used instead of “CYBLE_EVT_GATTS_WRITE_CMD_REQ” in the event handler, but “write without response” is selected in the component setup. Why is “CYBLE_EVT_GATTS_WRITE_CMD_REQ” NOT used in the capsenseled project, and does “CYBLE_EVT_GATTS_WRITE_REQ” still function in a write without response setup? Am I misunderstanding the definition of a response? Is the “response” referring to an event that occurs within the server device, or is a response defined as a reply from the client device? I am trying to set up a low power single button remote to report the state of the button, to be handled by the client which is connected to a larger power source and will possibly count edges, measure button press duration, or both, etc. Ideally the remote would be asleep except for when it needs to tell the client that the button has changed states, and would not spend any energy processing a response from the client.